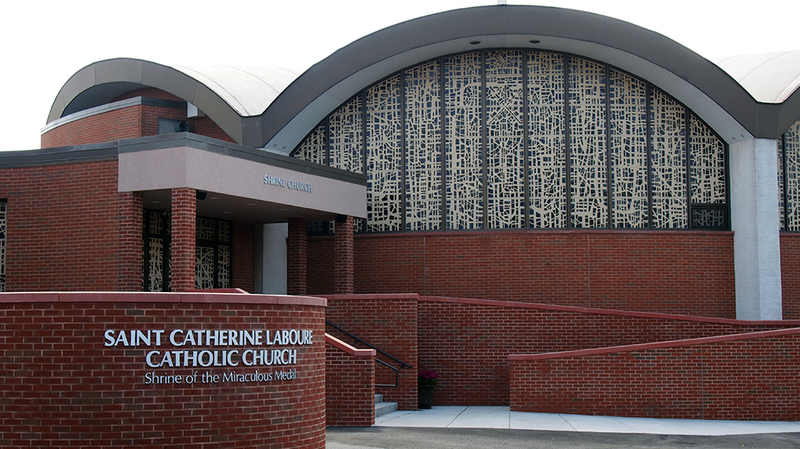 St. Catherine Laboure - Pyramid Construction Services, Inc.
Pyramid Construction Services, Inc. served as the design/build contractor for the interior renovations and ADA upgrades for St. Catherine Laboure Parish. 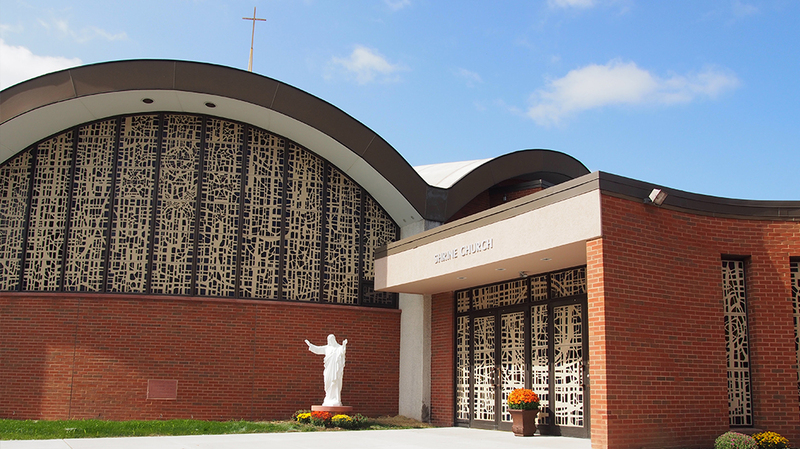 The project resulted in a fully-accessible church featuring ramps and wider spaces for accessibility, improved sight lines, expanded confessionals, energy-efficient lighting, an improved sound system and larger restrooms. 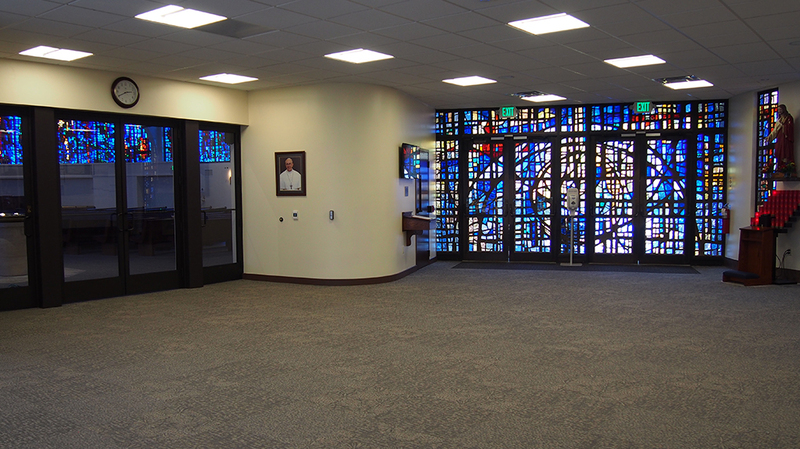 New wall, floor and ceiling covers compliment the majestic windows that encircle the Shrine Church. 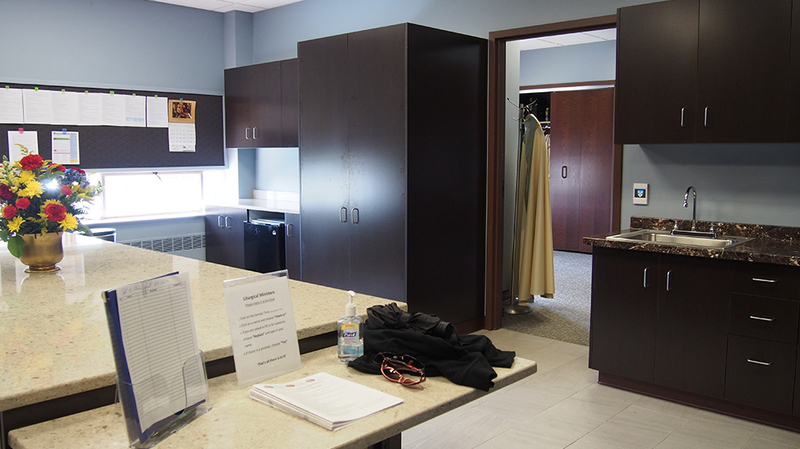 Refurbished pews with padded seating were also installed. 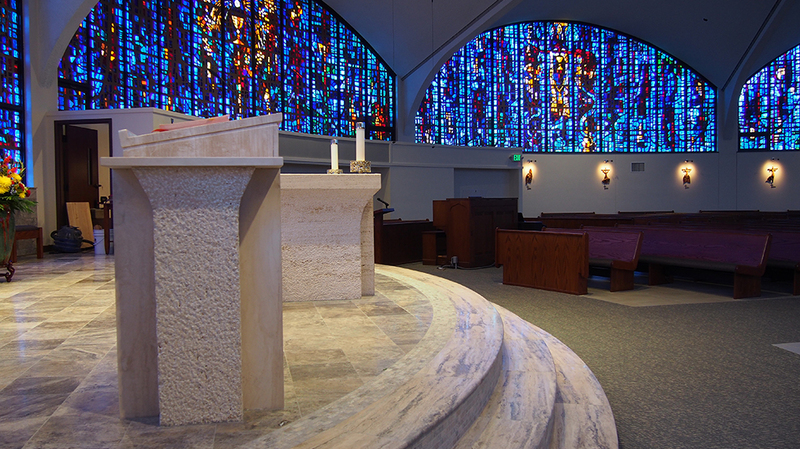 Additional renovations and refurbishments included the relocation of the baptismal font, which flows with living water, just inside the main doors to the church. 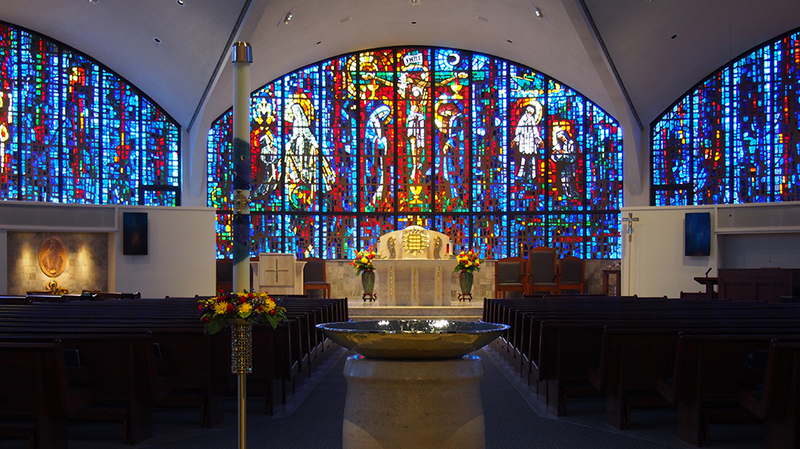 The tabernacle was moved to the center of the sanctuary.